Some designer kitchens transcend seasonal trends! Among traditional style kitchens, the popular 'shaker kitchen' is in a class of its own because it never goes out of fashion. These designer kitchens really do stand the test of time because they do not appear too traditional, nor too modern. This traditional style kitchen features a minimalist feel. It's monochromatic color scheme is balanced by a warm wood island countertop and classic decor. 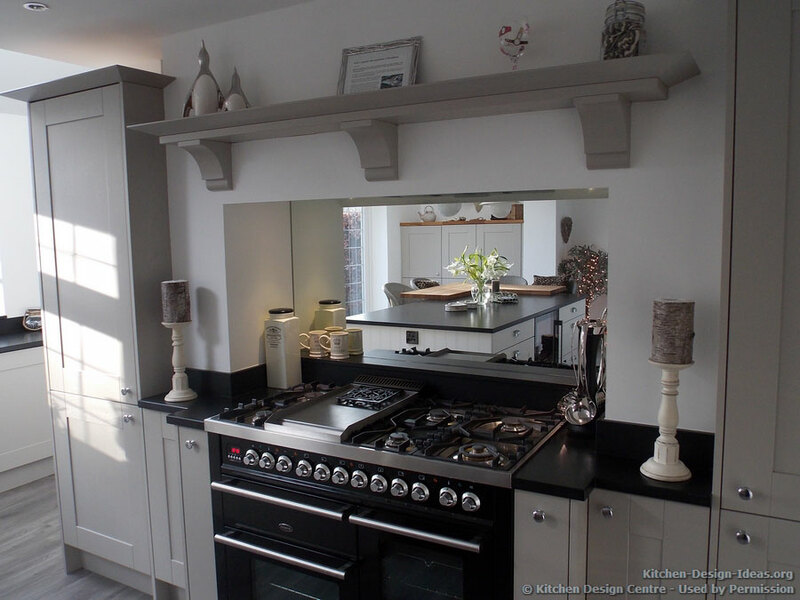 This shaker kitchen, from Kitchen Design Centre, was designed especially to create a traditional style with a twist: Rather than adhere to traditional themes, the designers deliberately combined a classical motif with modern / minimalist undertones. From the outset, owners Diane and John Houghton wanted something simple and striking. Designer Suzanne said: "Although the Shaker Kitchen has an unmistakably traditional feel, it fits easily into a contemporary setting." 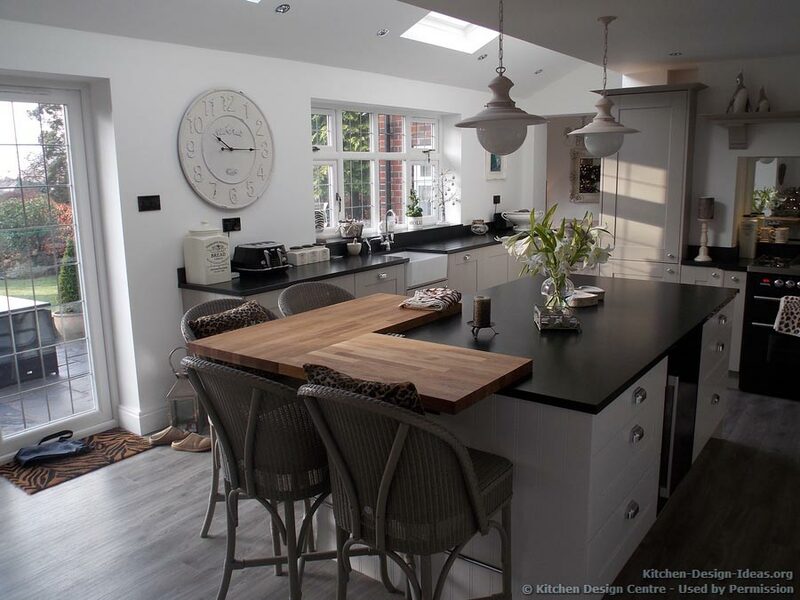 Located in Stockport, near Manchester, the kitchen's natural functionality, ordered in clean and spacious way, there is a definite calm atmosphere to the room. Among the appliances is a Britannia cooker with a mirror backsplash to add an extra touch of class and make the kitchen appear larger. There's also a Quooker boiling water tap, allowing for fast, efficient cooking and tea and coffee making. As with many modern designer kitchens, it includes a central island with built-in appliances and seating area, doubling up as a dining and preparation space. The cabinetry, painted in stone and chalk shades, complements the leather black work surfaces perfectly. 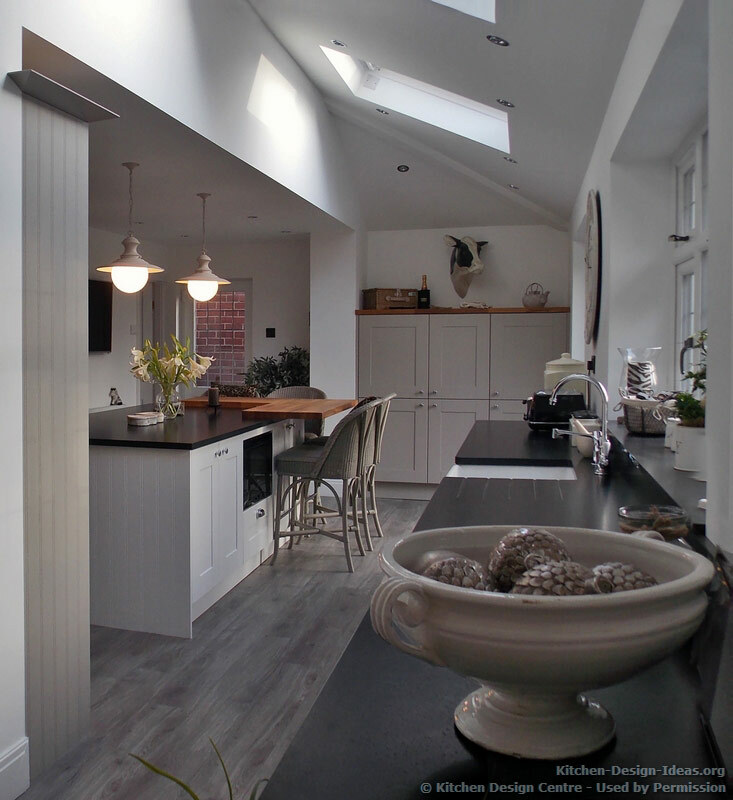 Significantly extended from its original size, this designer kitchen makes tremendous use of space and light. Vaulted ceilings, skylights, and sliding glass doors allow natural light to flood the room. Owner Diane said: "Guests are gobsmacked when they see the incredible transformation." You can see more bespoke designer kitchens at KitchenDesignCentre.com. For even more inspiration, browse our gallery of traditional style kitchens.